Robert Jager was born in Binghamton, New York (1939), and is a graduate of The University of Michigan. For four years he served in the United States Navy as the Staff Arranger/Composer at the Armed Forces School of Music. Jager taught for thirty years at Tennessee Tech University and is now a professor emeritus from that institution. After a four-year sojourn in Colorado and New Mexico, Jager has returned to make his home in Tennessee. Jager’s credits comprise over 140 published works for band, orchestra, chorus, and various chamber combinations. He has received commissions from some of the finest musical organizations in the world, including the Tokyo Kosei Wind Orchestra, the Republic of China Band Association, the Minot (ND) Symphony Orchestra, the Michigan State University Children’s Chorus, the Cumberland Children’s Chorus, the universities of Arkansas, Butler, Illinois, Michigan, Michigan State, Nebraska, Nebraska Wesleyan, Wright State University, the University of Dayton, Purdue, the Tennessee Arts Commission, the American Youth Philharmonic Orchestra, all five of the Washington-based military bands: Air Force, Army, Army Field Band, Marines and Navy, and all four of the military academies: Air Force, Army (West Point), Coast Guard, and Navy (Annapolis). In addition, he has received grants from Meet the Composer, the Tennessee Arts Commission, and the American Music Center. He has conducted and lectured throughout the United States, Canada, Europe, Japan and the Republic of China. Additionally, his music has been performed by the National Symphony Orchestra of Washington, DC, the Nashville (TN) Symphony, the Charlotte (NC) Symphony, the New England Chamber Orchestra, the Oregon Mozart Players, the Bryan Symphony Orchestra of Tennessee, the Greater Lansing (MI) Symphony, the Minot (ND) Symphony, the Virginia Symphony Orchestra of Norfolk, and the Omsk Philharmonic in Russia. An all-Jager recording of his orchestral music performed by the Omsk Philharmonic and conducted by John Dodson, was recently released on the Naxos label, and two such CDs of band music, including 2014’s Testament, are available on Mark Recordings. 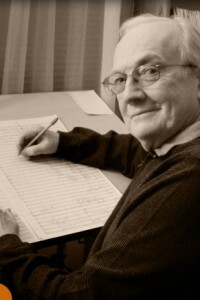 Jager has received many awards for his compositions, including being the only three-time winner of the American Bandmasters Association “Ostwald Award.” In addition, he has twice received the “Roth Award” of the National School Orchestra Association, the Kappa Kappa Psi “Distinguished Service to Music Medal” in the area of composition, the “Friends of Harvey Gaul” bicentennial competition, the American School Band Association’s “Volkwein Award,” and in 2000, hisDialogues for Two Pianos won the keyboard category competition in the Delius Competition sponsored by the Delius Association of Florida and Jacksonville University. In 1986, he received a MacDowell Colony Fellowship to compose at the colony in Peterborough, NH. In 1996, he received the “Individual Artist Fellowship in Composition” from the Tennessee Arts Commission, and in 1998, was selected to receive Tennessee Tech University’s highest faculty award, the “Caplenor Faculty Research Award.” He was the first faculty member in the arts to receive this award. In 2009, he was selected to be included in Groves’ Dictionary of American Music and Musicians. He is also the author of a children’s book, “ESAU: A Christmas Fable”, available online from Amazon & Barnes and Noble. Marks is proud to publish Jager’s latest works: Like a Sea of Glass Mingled With Fire (band), The War Prayer (Narrator and Orchestra), and Festival of Winds and Percussion (band). Get the recent Robert Jager CD, Testament by The University of Texas-El Paso Symphonic Winds conducted by Ron Hufstader. Contains Concerto for Band, Hebraic Rhapsody, Highland Fling, and others.